Welcome Reagan Elizabeth Bower: Our first cousin! 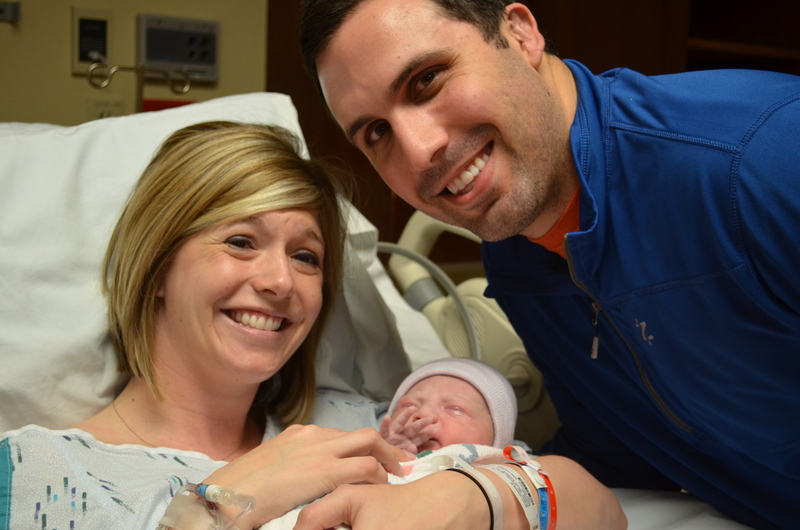 On Tuesday, February 28, we welcomed Reagan Elizabeth Bower! Another girl to the clan and another granddaughter for the Coys. 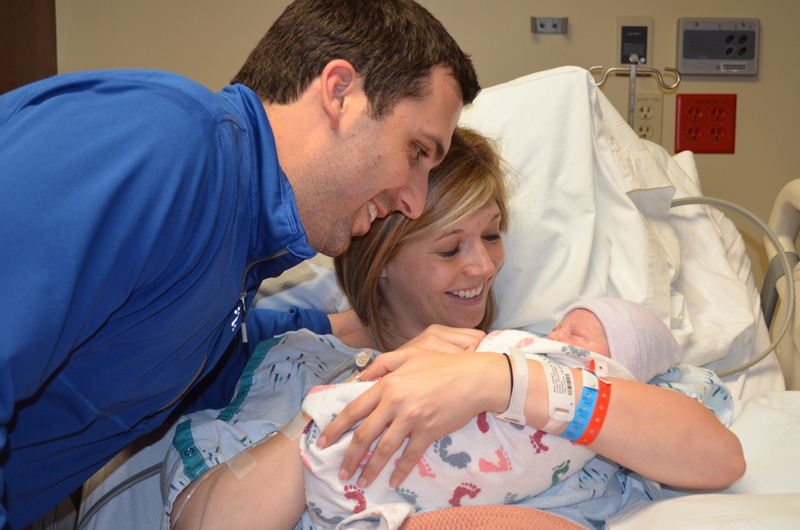 My sister-in-law Amanda and brother-in-law Michael welcomed their first child after about 12 hours of labor and lots of family waiting in the wings. Except for her best friend Megan and I who snuck into the hallway and waited to hear Reagan cry for the first time, which was too cool. We both had c-sections (and both have multiples..she has twin girls), so neither one of us experienced a normal (sort to say) child-birth. I still don’t wish a c-section on anyone. I know some women prefer it, but in my case, I did not. But, again, not sure if I would prefer the other way anyhow. Enough about that…here are the details! 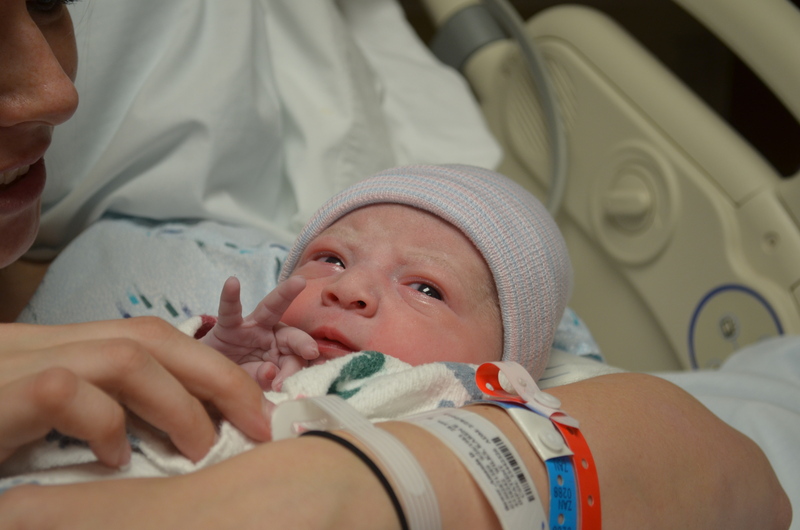 She was 6lbs., 10 ounces and 20 inches long. The first thing noticed….Her hair..a good amount of it and it was dark. Daddy Michael has dark hair, so we knew this was probably in the cards. Amanda did beautifully and baby Reagan is doing fantastic. One thing I did remember (when I had the girls and came out of recovery) is that at Mercy hospital they play a lullaby in the hallway after a baby is born. I heard the lullaby after Reagan was born and then it was sort of a memory that came rushing in. I remember them playing it three times in a row when the girls were born. Gave me goosebumps. Also, when I heard Reagan cry like a little baby kitten took me back to the girls being born. They all sounded like little cats! I got to help change her the next day so she could have her picture taken in the hospital. I almost forgot how it felt to hold a baby that small and change those tiny little diapers. I came home and hugged my babies so hard. I loved when they were babies, but it has been a lot of fun lately watching them grow and change into little toddlers. I hope my girls are good cousins by the time Regulator (as Bryan now calls her) can play. They are at a stage where they are getting a little rough with each other. Hair pulling, slapping and tackling. Worries me a tad but most of my friends say this is normal. P.S. Anyone else notice how great her hair still looks! She still looked so pretty even after all that work!